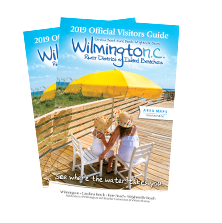 The Wilmington Ale Trail serves as a guide to area craft breweries, bottle shops, and bars/restaurants that serve a selection of craft beers. Or navigate your way using this brewery map. Get a deeper understanding of the brewing process, taste innovative craft beer and meet some of the area’s passionate brewmasters aboard the Port City Brew Bus. Wilmington’s growing food truck scene currently features no fewer than 14 different trucks, with offerings ranging from fine dining to soul food. Many of these trucks find their way outside of the area’s breweries and bottle shops, offering on-site lunches, dinner and snacks in between, all of which can be enjoyed at on-site picnic tables and beer gardens. Not to be outdone, Wilmington also has a thriving culinary scene. 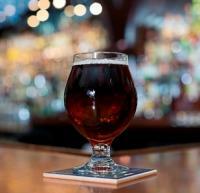 Many of these restaurants put craft beer selections front and center on their menus. Use this restaurant map to find your way to the closest spot serving up the perfect pairing of food and beer. Special events throughout the month of April will pay tribute to the art of craft beer. Sample tastings, chat with brewers, and enjoy live music and a full lineup of comedians during the NC Beer & Comedy Showcase at Waterline Brewing Co. on April 1. Port City Brew Bus will offer a “Drink Like A Local” tour on April 2, along with a “Port City BrewHaHa” tour featuring local comedians on April 7. The Wilmington Brewery Showcase at Cape Fear Audi on April 9 lets ticket-holders sip craft creations and chat with the brewers in an intimate setting. Finally, celebrate the last day of NC Beer Month with the Waterline Brewery 1st Annual Bike Ride & Scavenger Hunt on April 30. Visit the North Carolina Beer Month page of our website for more info and to plan your beer-based coastal getaway to Wilmington.